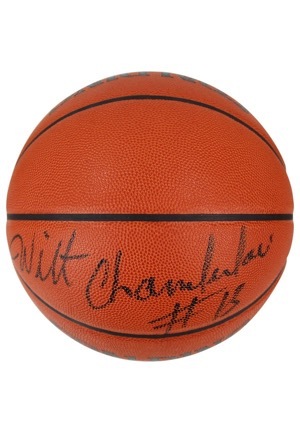 One of the most dominating players in NBA history, Wilt Chamberlain holds many NBA records in scoring and rebounding. 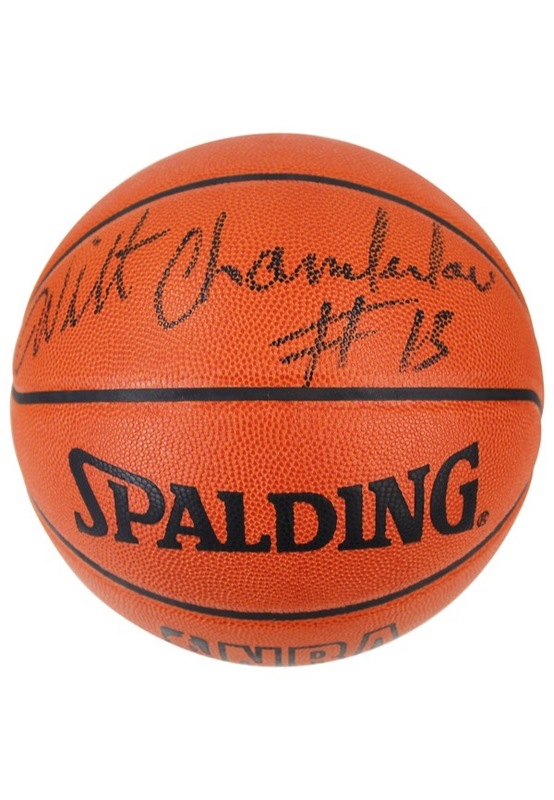 A 13-time all-star, Chamberlain won four MVP Awards and is still the only player in league history to score 100 points in a single game. 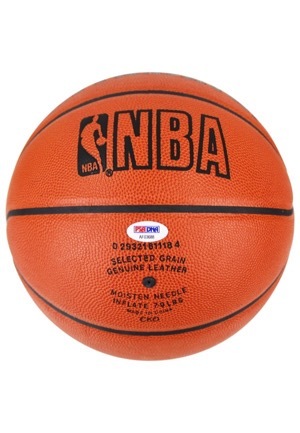 Spalding manufactured basketball that reads “Official Game Ball”. Chamberlain signed one panel in black marker with the added inscription “#13” and in our opinion the signature rates a 9. Accompanied by a LOA from PSA/DNA.